WHAT WOULD YOU DO IF YOUR SON WENT MISSING? HOW FAR WOULD YOU GO TO FIND HIM? Michael Barton comes home to find his infant son gone. There's no trace of the kidnappers, and the police have no leads. He makes a promise to his wife and is driven to fulfill it. Detective Jason Strong led the task force to find Michael's son, and has become his friend. But as Michael's darkness grows, Jason fears he's the only one who can stop the events that will change everyone, before It's too late. Log In to track John C. Dalglish on eReaderIQ. 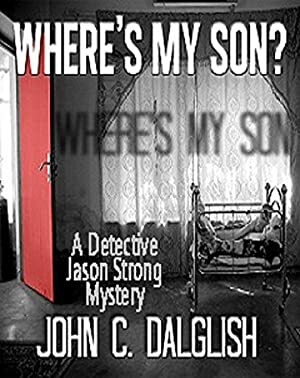 to be notified each time the price drops on any book by John C. Dalglish. to stop tracking John C. Dalglish. We started tracking this book on July 12, 2012. This book was £0.77 when we started tracking it. The price of this book has changed 68 times in the past 2,475 days. The current price of this book is £0.99 last checked 5 hours ago. This book has been FREE 29 times since we started tracking it. The highest price to date was £0.99 last reached on February 17, 2019. This book has been £0.99 17 times since we started tracking it. We last verified the price of this book about 5 hours ago. At that time, the price was £0.99. This price is subject to change. The price displayed on the Amazon.co.uk website at the time of purchase is the price you will pay for this book. Please confirm the price before making any purchases.